So what we really need is a method of adjusting the black and white point sliders so that you can see where the image is being clipped as you drag the white point slider… and to do this, just hold down the alt key as you drag! The screen will go black, but as you drag the slider and start to clip the right end of the histogram, you’ll see coloured patches start to appear (where just one of the red, green or blue colour channels is being clipped) and then white patches (where all the channels are being clipped). You’ll soon start to recognise particular parts of the image, making it easy to decide which areas aren’t important and just when critical areas of the picture are starting to be affected, making it easier to work out where to stop. 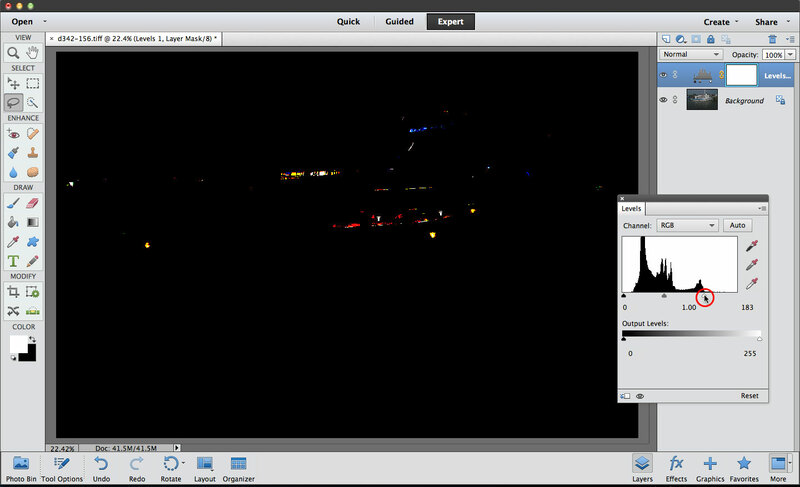 You can do the same with the black point slider, alt-dragging it inwards to the start of the histogram. 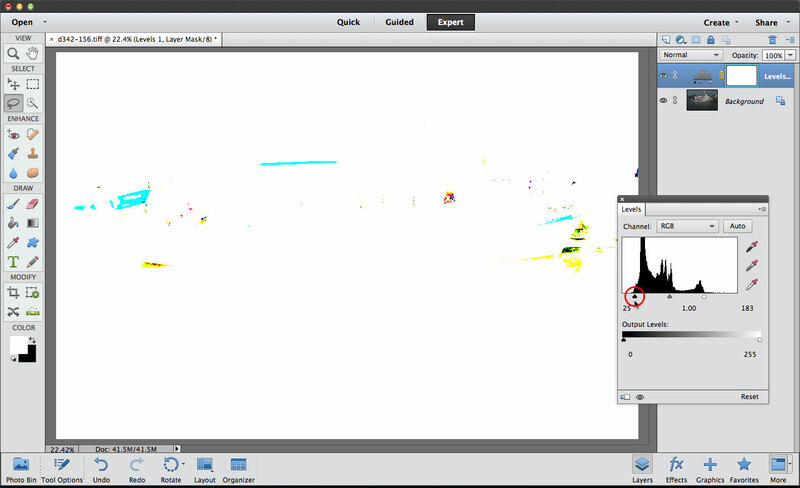 This time the screen will turn white, and image details will start to appear as you start to clip the histogram. 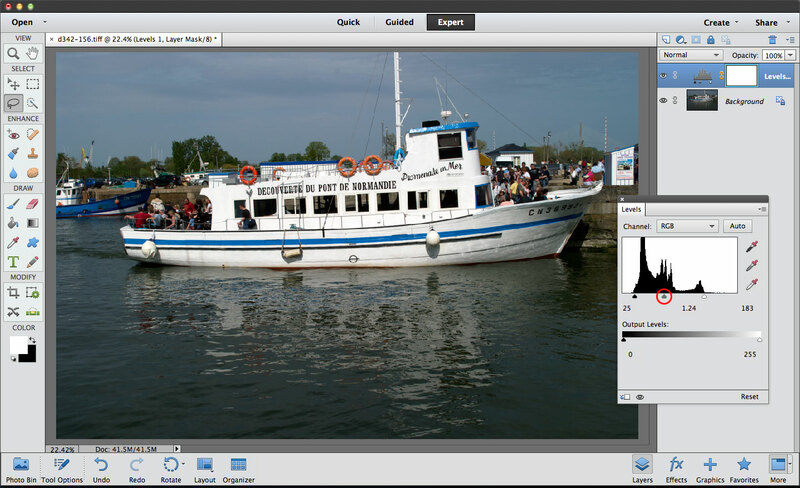 Again, this makes it easy to decide which parts of the picture you can afford to clip and which you can’t – and when to stop dragging the slider. So far, I haven’t mentioned the middle slider. This is the ‘gray point’ slider (circled), and although it does have other uses too, I can use it here to adjust the brightness of the picture, since it was left looking a little dark after my last adjustments. If I drag it just a little to the left, the picture is lightened, but without any change to the black point or white point settings. Only the middle tones of the image are affected.